Last night I watched An Inconvenient Truth as penance for my environmental sins, for which I have many and am now more ashamed of than ever before. My worst nightmare is facing a green tribunal headed up by Al Gore, flanked by Carol and David Suzuki with Prince Charles bringing up the rear. I take the car more than I should. I use plastic baggies when I could just as easily use a reusable container. I don’t consider my carbon footprint when I book our family vacation and I am guilty of purchasing inexpensive, disposable clothing from big box retailers. To be truthful, I considered myself environmentally conscious before last night’s education. I dutifully separate my compost from recycling and garbage, I only do the laundry and run the dishwasher at off-peak times, we have high efficiency appliances and our house is kept temperate with the help of a timer. I try to pack waste-free lunches but on occasion a juice box makes it way to the school. Supporting local growers, artisans and businesses is something that we make a habit of in my home but regular runs to Costco happen too. A hipster or greenie I am not. I don’t make my own soap and I refuse to pay triple the price of something just because it is “craft” or “artisan”. 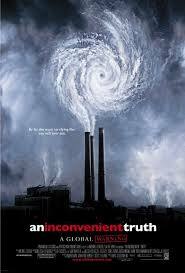 An Inconvenient Truth had been on “my list” for quite a while but I could never find a convenient time to watch it. Last night the timing was fortuitous. Al Gore was on the screen detailing the dramatic rise of green house gasses, the earth’s skyrocketing temperature and increasing wind speeds that together are a tempest of destruction. Just then my iPhone buzzed to life with a message from my neighbour appealing for relief on behalf of families living in the Philippines ravaged by typhoon Haiyan, a storm that killed thousands, and left behind mass destruction in its wake. The worst of its kind ever recorded in history. For decades Al Gore has been riled by proof from leading scientists around the world that human beings can longer be oblivious to their actions and the impact it has on the planet. At the time of this documentary Gore warned that we were entering the era of consequences – hurricane Katrina had just decimated New Orleans. We can longer rest on our laurels and debate the validity of global warming. It’s happening and the hundreds of children orphaned by Haiyan is all the proof that I need. An Inconvenient Truth ends on an optimistic note and encourages people to continue to make simple changes in their daily living. Suddenly the problem doesn’t seem so overwhelming, so out of my hands. I have learned so much about living a greener, simpler life from Carol. 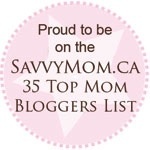 In fact, just this week I added soapberries to my grocery list. From Al Gore, I learned to pay closer attention to what environmental policies our elected officials are passing, championing or ignoring. I learned that with my vote, comes my voice. I now know better, so I must do better. Beth-Anne, you are so funny. I’m imagining a world in which Dave and I are, like, buds.